BOOM! Mr. Blood'n'guts strikes again. The tension started when Michael Irvin insisted that Joe Flacco hadn't had a reliable receiver since Anquan Boldin. Of course, Smith played with Flacco since Boldin's departure, and didn't take this very well. He went on to say that he passed Irvin statistically years ago, and that Irvin only had an "associate's degree" in route-running. It was all pretty harsh, but Irvin leaving Smith out when speaking of reliable receivers is also harsh in its own way. Smith was fantastic in his late career stint with Flacco and the Ravens, and is right to push back. 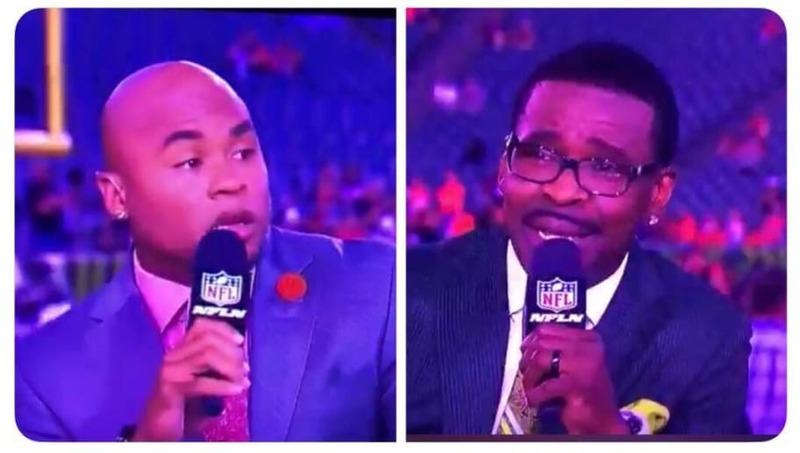 Was Steve Smith better than Michael Irvin, though? That's awfully hard to say. Smith never had a dominant quarterback throwing to him, while Irvin had Hall of Famer Troy Aikman. Either way, the fiery, snap-back attitude is the reason that Steve Smith now has an analyst career. And this is exactly what they have him on television for. Keep on being you, Steve. As for you, Mike? Ice up, son.